Tensho is a kata that is steeped in mystique. In particular, there is a lingering "cultural memory" that it stems from an "older" Chinese form known as "rokkishu". But what is the likely truth about the origins of tensho? What do we really know about this enigmatic form? 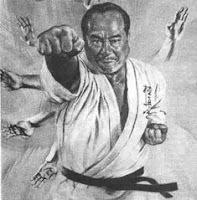 We know that Chojun Miyagi openly took credit for developing the kata, just as he did for his version of sanchin (known as "Miyagi sanchin" - where there is no turn), and as he did for the two beginner kata gekisai dai ichi (also known as "fukyugata ni") and geki sai dai ni. 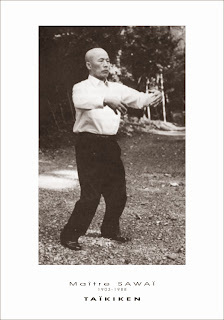 It seems Miyagi developed tensho after his trip to China in 19151 where, according to orthodox history2, he had been researching the origins of Okinawan martial arts, and that he developed this form as an advanced "breathing form" to complement or extend sanchin kata. So what does "tensho" mean? The kanji of are sometimes said to be 天手 ("tenshu" meaning "heavenly palms" or something similar). I have found very little to corroborate this speculation. Rather, tensho is often described as meaning "rotating palms" or "turning palms" (see this the Wikipedia entry on tensho, for example) and this is consistent with the oral history passed down to me and many other goju ryu karateka. So what of the supposed "older" Chinese form known as "rokkishu"? What might that have meant? Some say "rokkishu" translates as "6 breath/wind/spirit hands" (六気手) which is apparently the kanji used in the famous martial text, the Bubishi. 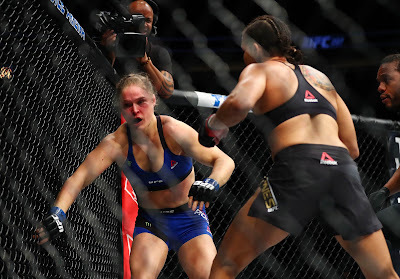 That text describes 6 hand forms used in striking, as illustrated to the left. The problem is, none of these hand forms appear to have any connection to tensho. Were tensho (or its rumoured "rokkishu" predecessor) to have any nexus to these hand forms, one would expect it to be primarily about poking, gouging, thrusting, chopping, pecking and clawing. 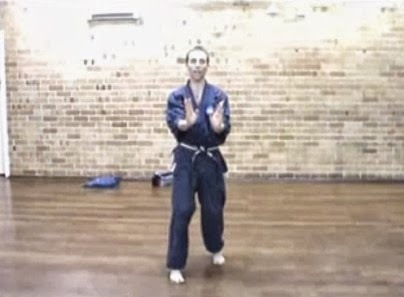 I think it is self-evident that this is not what tensho concerns - even if there are a few palm strikes (and potentially opening finger thrusts, if you open the fists) in tensho. It also seems that this is not what any predecessor to tensho is likely to have concerned: had it done so, one might have expected to see some remaining "poking/gouging etc." emphasis in tensho. Yet there really is no such emphasis (unless you maintain that it is "hidden"). Accordingly I think it is most likely that the "rokkishu" of the Bubishi is something altogether different from any rokkishu that might have had a nexus to Miyagi's tensho - even if the forms/exercises shared the same name. So "rokkishu" written as 六気手 might describe some "tensho predecessor": the reference to "breathing" implicit in "ki" is at least suggestive of this hypothesis. Which brings me back to the question: was there ever a Chinese form called "rokkishu"? 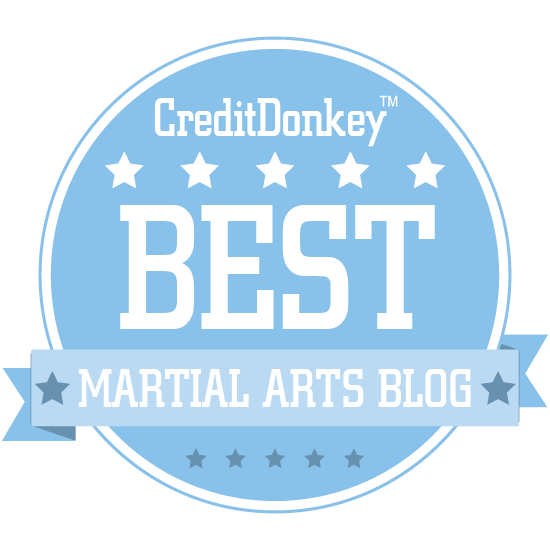 In answering this it is noteworthy that despite my best efforts at research, and in the face of all the legends surrounding a supposed "rokkishu", I have never found a single form of this name in Chinese martial arts - nor even any historical mention of such a form. Perhaps this is where we start getting just a little closer to the truth: because the Chinese martial arts activity that tensho kata most resembles, at least in general pedagogic terms, is not a full form, but rather a series of exercises; ie. a drill comprising fundamental or foundational breathing/spirit/conditioning movements. It is in this context that I now note that some Okinawan karate schools have traditionally practised an exercise (falling well short of a "kata") which they call "rokkishu". Most notable of these schools is tou'on ryu - the "sister school" to goju ryu. 4. a sideways shotei (also known as chudan teisho) uke/uchi. Usually the age (rising) ko uke/uchi is combined with the shotei uke/uchi in a circular motion. 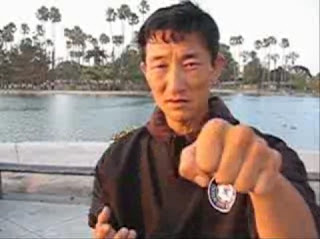 The sideways chudan teisho is usually done on its own with a standard fist pullback - or sometimes with an age nukite (rising finger thrust). It seems that when you combine all the 4 movements you get a sequence that is/was known in tou'on ryu (and elsewhere perhaps) as "rokkishu". Of course, this sequence occurs in tensho - 3 times to be exact. It occurs once on each hand separately, then once again using both hands. Where could this sequence have come from? 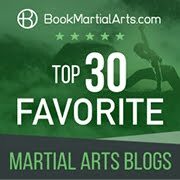 Accordingly, I speculate that the "rokkishu" drill, or perhaps components of it (including such miscellaneous techniques as the ko uke, chudan nukite and age nukite basics), were taught in the Kojo expatriate dojo. But if this is true, this raises a further question: where did the Kojo family get these techniques? I think it is at this point that we might be getting closer to finding some answers. Because there are indeed Fujian-based martial arts forms that feature the 4 movements seen above (albeit with some subtle, but significant, differences). It might be that the Kojo expatriate school in Fuzhou borrowed (or were inspired by) a few white crane techniques they saw around them, and that the "rokkishu" sequence was one - subsequently passed on to both Higaonna and Miyagi respectively, as well as any other karateka who visited their dojo. Interestingly, I was taught this as a basic exercise in my early goju years (even though it does not appear in this form in any kata other than tensho, which I wouldn't go on to study for many years) and its more basic components in the isolated sequences to which I've previously referred (I am sure I have some old footage of me doing some of these). You only need watch "paint the fence" in the Karate Kid to see how deeply embedded the sequence and its components are in Naha te -despite their relative absence from other kata. It is possible that this was via the influence of the Kojo expatriate dojo in Fuzhou. Nor do I think the Kojo school might somehow have affected Yong Chun baihe in this regard (though I suspect, without evidence, that it might have influenced ngo cho kun / wu zu quan - that is another issue! ): for a start, I am not aware that any Kojo kata actually contains this sequence, so if it was practised in the Kojo expatriate dojo in Fuzhou, it would have been as an "add-on". Furthermore, the hand positions at the end of the bafen "rokkishu" sequence qualities are subtly, but significantly, different from that found in tensho and karate generally. The rising movement finishes with keito uke/uchi (chicken head block/strike), not ko uke/uchi (ie. your palm is vertical, not horizontal). The falling movement is more angled forward than a standard shotei uke/uchi. Finally, the inward and outward movement has the palms horizontal, not vertical. I have found that these differences are typical of southern Chinese forms that have no connection to Okinawan karate. The Okinawan version of this sequence is really quite unique to Okinawa. So when it comes to bafen, I doubt it was influenced by karate - whether via Kojo or any other school. 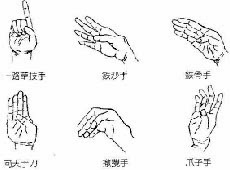 Rather, I suspect that the hand position changes in Okinawa reflect a marriage of the bafen-type movement (however acquired by Miyagi, Higaonna, Uechi et al) with movement of a kind already taught in Okinawa by Chinese immigrants (in particular, Miyagi's Chinese friend and associate, Wu Xianhui (or "Gokenki" in Japanese). 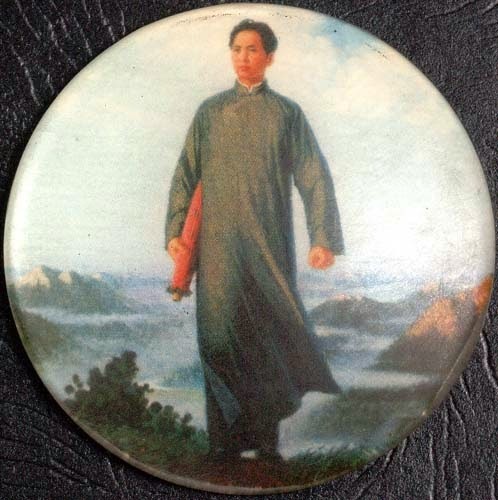 Interestingly, my Chinese martial arts teacher Chen Yun Ching once saw me practising tensho and admonished me for having my hands wrongly oriented. He said it looked like white crane (which, he admitted, was not his speciality), but that the way I was doing it was incorrect (for white crane, anyway). He then showed me some applications that relied on the hand being vertical in the rising movement and horizontal in the sideways movement etc. which shed some light on the difference in approach. It is important to remember that the "bafen" or "rokkishu" sequence isn't the sum total of tensho anyway. A series of 4 hand movements does not Miyagi's kata make. Besides - these are only 4 movements in the "rokkishu" drill: what of the other 2 that might make up the legendary "6 machine hands"? 6. one that moves from the outside in. Accordingly, my best guess is that tensho as a kata sequence is entirely Miyagi's creation, expanding sanchin to include the "bafen/rokkishu" hand movements as well as the two variants of back of hand depression controls (ura te kake uke). Together, these 6 movements comprise what I consider to be the modern "6 breathing/power hands" of tensho. 1. Bishop, M. (1989). Okinawan Karate - Teachers, styles and secret techniques. London. A & C Black Ltd, p. 28. 2. 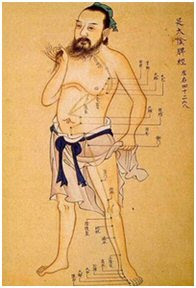 On some accounts Miyagi's trips to Fuzhou were brief and related to the business of tea trading. See for example these translated memories of Saburo Higa and this translated extract of martial historian Akio Kinjo's "Karate Denshinroku". 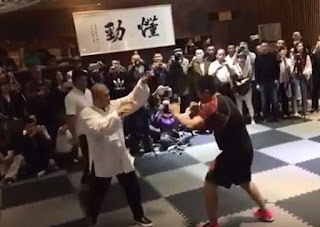 Accordingly it is arguable that he did not train anywhere while in Fuzhou during his visits. 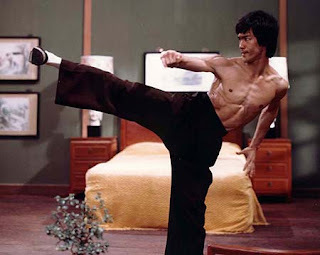 However even if this is correct, he might still have met with martial artists and witnessed some demonstrations. 3. I have no information on Kojo visits by Chojun Miyagi, however like most Okinawan expatriates, he would probably have stayed in the Ryukyukan, an Okinawan enclave, while visiting Fuzhou. Given that the Kojo dojo was located next to the Ryukyukan, it seems highly likely that he would have gone to that dojo - if he had had the opportunity to train in martial arts during his visit - see footnote 2). 4. I note the "rokkishu" exercise exists in Uechi ryu where I believe it is called the "koi no shippo uchi yoko uchi" (the "fish-tail wrist blocks"): see this page. For a brief account of Kanbun Uechi's Kojo experience see this article. Kanryo Higaonna's training with the Kojo expatriate school is well documented (see the Wikipedia entry).